We’ve put together a list of some of our favorite things. Many of the books and products listed are ones we use and like a lot. Most links have affiliate codes, so if you buy something from this list, we’ll get some money and you’ll get the happy feeling of finding a great gift and helping to support f.lux development too. 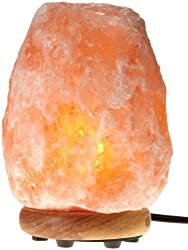 Carved from a real chunk of salt, Himalayan Salt Lamps have been growing in popularity for good reason, they’re beautiful. The natural shapes mean each lamp is unique, and their soft, warm, calming glow is good for before-bed mood lighting. A pair would be perfect for nightstand lights. 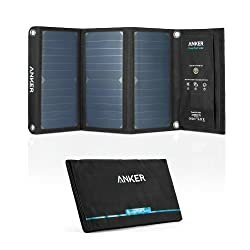 The panels fold up flat, so it’s easy to pack, and you can clip it onto your backpack to charge in the sun as you hike. This version has two USB ports. If you are shopping for kids, the Osmo Gaming System for iPad is fantastic gift. Osmo is an educational game system that uses a camera reflector and object recognition to connect an iPad with the physical world. The Genius Kit includes a stand, camera reflector, physical objects to manipulate, and five different apps. With the included Words, Tangram, and Numbers kits, or just a simple pencil and paper, kids play engaging and interactive games that teach math, spelling, logic, spatial manipulation, or even a new language. Osmo is designed for 6 and up, but younger kids can enjoy it with grown-up help. Re-Timer makes wearable lighting for adjusting your sleep timing. During the long winter nights it can be hard to get enough bright light. 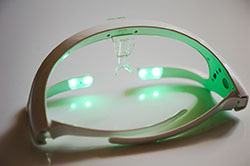 Re-Timer glasses work like light therapy boxes that you can take almost anywhere. They’re indispensible for long distance travel. Developed by sleep scientists from Flinders University, Re-Timer has a specially tuned green light designed to augment the light you see and to help set your sleep timing. For a limited time Re-Timer is offering friends of f.lux a $50 discount. To get the discount, use coupon code “f.lux” at checkout. The Ario lamp incorporates the latest research in color, brightness, and direction of light to promote better sleep patterns. Ario is currently in development, so supporters of their kickstarter campaign get a discounted price, plus a giving card suitable to wrap up and give as a present for the holidays. Cold brew coffee is a fancy treat that’s actually incredibly easy to make—just add water to a pound of coursely ground coffee beans and let it sit overnight. The resulting drink is smooth and delicious with no bitter aftertaste. 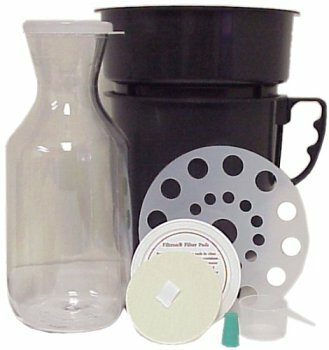 The Filtron Cold Water Coffee Concentrate kit has everything you need to get started (except coffee and a grinder, but you can buy pre-ground beans). The f.lux HQ secret ingredient is Peet’s Major Dickason’s blend. Those who like having a little more control might want to add a good burr grinder. The coffee mixture will be strongly concentrated, so add about 1:1 water or milk, and enjoy over ice. Tis the season for sparkly things, and this collectible Swarovski crystal ornament is a wonderful gift. 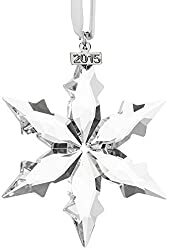 The 2015 Swarovski Crystal Star Ornament is available in two sizes or as a 3 piece set, and will look beautiful on every tree. If you’ll be staying as a guest over the holidays, this makes an especially thoughtful hostess gift. 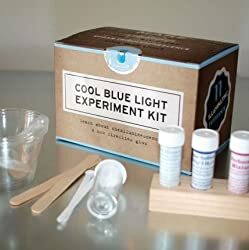 If you’ve ever wondered about fireflies and how they glow, the Cool Blue Light Experiment Kit will help answer your questions. This little chemistry kit is a fun gift for older kids and grownups who have held on to their curiousity about the natural world. Several different experiments will demonstrate some of the practical - and beautiful - applications of bioluminescence. 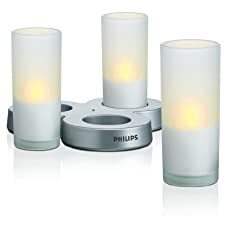 The Philips Imageo LED candles have glass votives, and they look and feel almost like the real thing. The three LED candles inside frosted glass covers last for many hours, and recharge quickly when set on their included wireless charger. For the special gearhead in your life, the iFixit Pro Tech Toolkit is a gift they’ll always be happy to have handy. 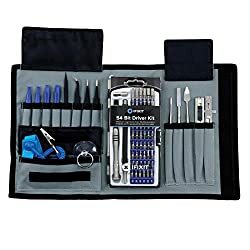 An indispensable companion to the iFixit online repair manuals, the iFixit toolkit includes everything needed for common repairs on devices, even the elusive pentalobe screwdrivers. 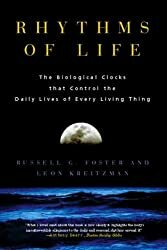 By circadian neuroscientist Russell G. Foster, Rhythms of Life is a wonderful and accessible introduction to the world of daily and seasonal biological rhythms. 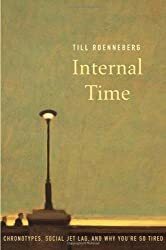 By chronobiologist Till Roenneberg, Internal Time investigates the connection and conflict between biological and social clocks and how social jet lag affects almost everyone. The weather reports in your city are probably based on a couple places that are miles away from you. 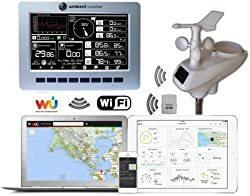 The Ambient Weather Remote Monitoring Weather Station provides immediate information about your local weather, and lets you contribute your weather station data to Wunderground. There is also a non-WiFi verson available, the Ambient Weather WS-1400-IP (it’s wireless but not WiFi) and costs a bit less money with many of the same features. Philips Hue Lighting System is a tunable LED lighting system that you can control from your computer or phone. If you have a Windows computer, you can use f.lux to adjust your Hue lights throughout the day. This system comes with a hub and three medium base tunable color changing light bulbs. 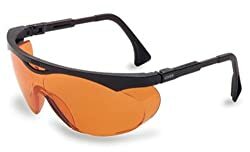 The perfect stocking stuffer for your favorite night owl, Uvex SCT Orange glasses are helpful to use to avoid alerting light just before bed. 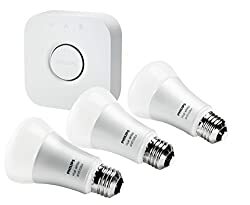 They’re an easy and inexpensive way to test whether artificial light at night is making you stay up too late, and they’re useful for travelers and frequent timezone crossers. There’s a fitover style for those who wear prescription lenses. 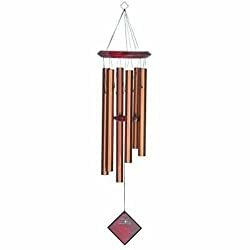 Woodstock’s 27” Pluto Wind Chime plays a deep, mellow sound tuned to a pentatonic scale. A lovely gift for someone who loves spending time outside in their garden. Check out f.lux’s favorite things from Amazon.